Halal food is now getting easier and easier to get here in Singapore which is really great for Muslim people. In the 7th episode of Frenzeelo TV, I visited the Halal Food Expo back in early July to see all the great Halal food they sell and believe me, there are TONS of delicious Halal food that can be found at the Expo itself. I have seen burgers, cakes, pastries, kebab and naan wraps all available for sale. It was very fun to be able to buy whatever food you want right here. Not only that, the Halal Food Expo also sold a wide variety of Hari Raya decorations (I went there in July), religious books and there was even an auction where they sell different items like carpets. If you want more of this kind of episodes, please don't forget to Like and Subcribe at my YouTube channel at http://www.youtube.com/paperfrenzy. It's totally free and you will be updated with the latest video updates. 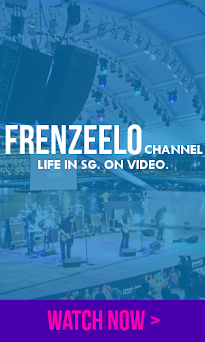 Once again, this is Frenzeelo TV, the show about the best of Singapore on video.